It is important that you choose the right flowers for your wedding; our friendly team of florists are available to help you. With over 22 years experience in designing wedding flowers, we can offer you all the advice you need, from choosing the design, colour and choice of flowers and we use the highest quality flowers imported into us direct from the Dutch markets. 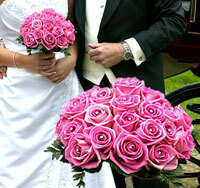 No wedding is too big or small for our team of florists to deal with. 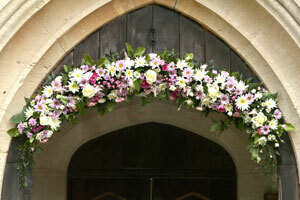 We have lots of experience in decorating hotels, marquees and churches – even tithe barns, castles and ships! 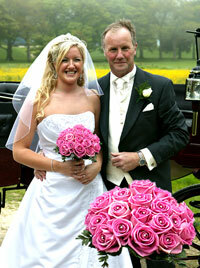 We cover the whole of the Dorset area. 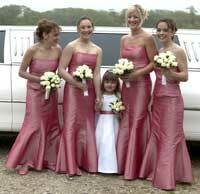 A deposit of £30 is needed to secure your date, the deposit is non refundable and payment is required 7 days before the wedding date. Breakages and non returned items will be charged accordingly. Your wedding is as unique and special as you are. 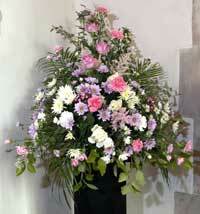 Everything about the day should reflect your own personalities and your flowers should be no exception. 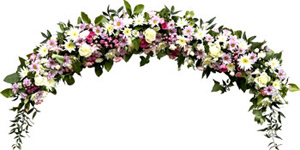 Your special day is an opportunity to publicly declare your love and devotion for each other, to make personal vows and create special long lasting memories that you and family and friends will cherish and remember forever, we at Pogles Wood Florist will be glad to share your vision.